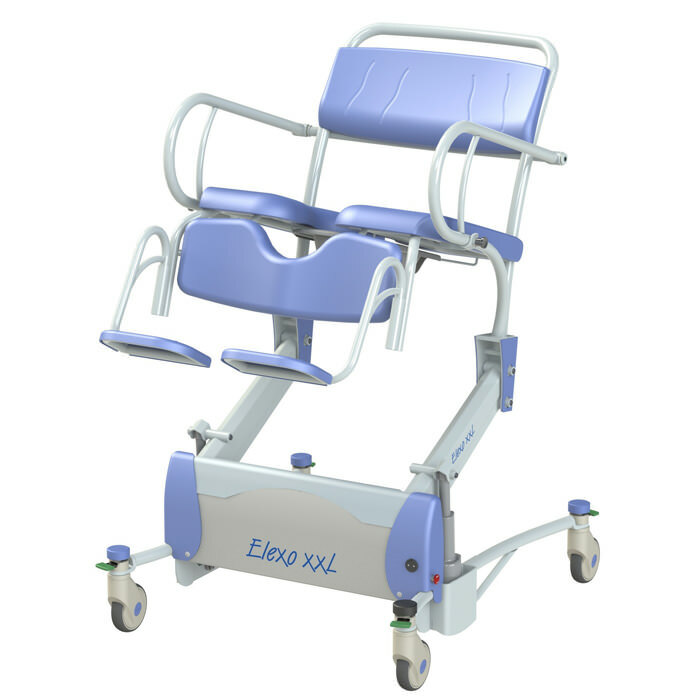 Lopital Elexo XXL bariatric tilt rehab shower commode chair provides comfort with the ergonomically shaped seat, calf support and foldable extended armrests. 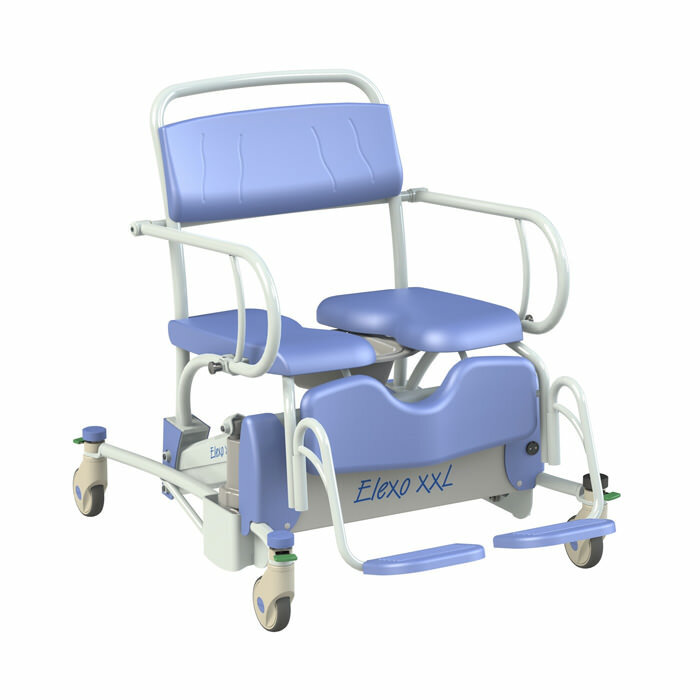 Lopital offers relief with the electric height-adjustability Elexo XXL shower-toilet chair which ensures that the seat reaches a maximum tilting angle of 17 degree when at its maximum height, thereby creating the optimum seating balance for the client / resident. 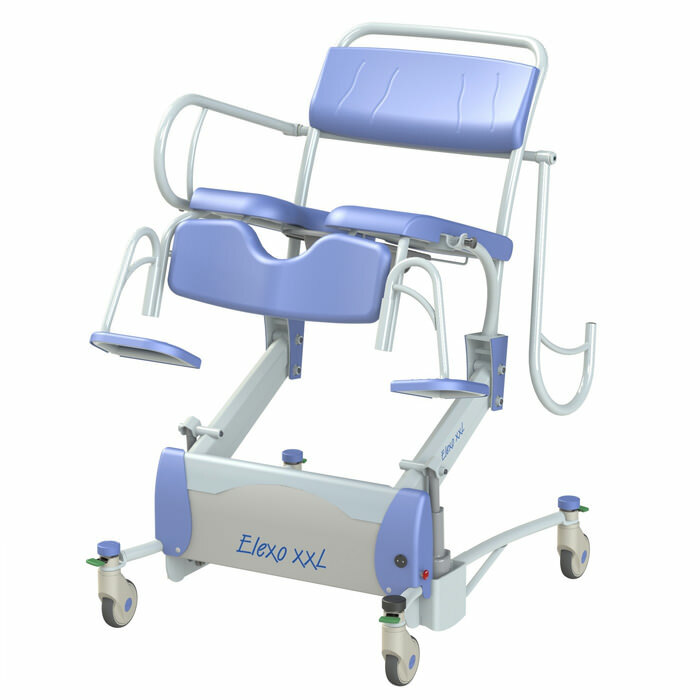 Elexo XXL rehab shower chair offers simple electric high / low adjustment manual operation with battery indicator. Maximum weight capacity 485 lbs. 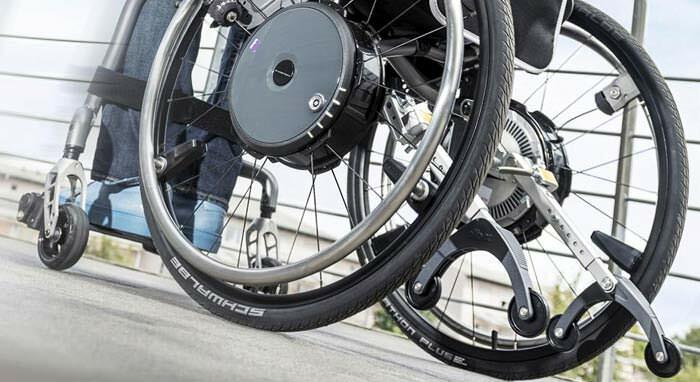 Lowest position 19.7", highest position 41.3"
Adjustable seat height 20" - 43.3"